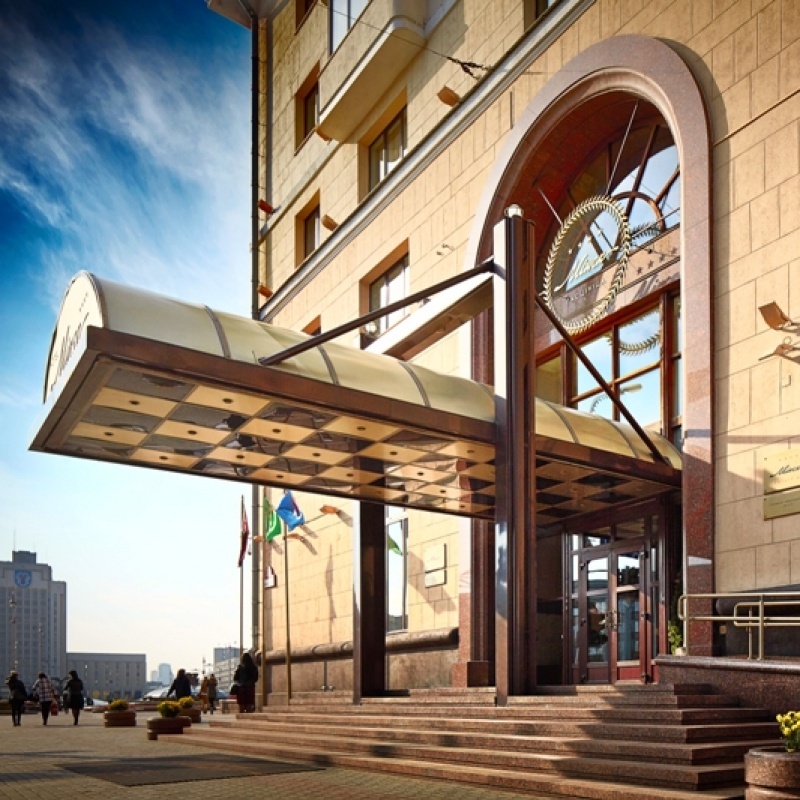 The "Minsk" Hotel is situated on the central city street - Nezavisimosti avenue. There is a picturesque view of the city, of the Independence Square and the Red Church opening from the hotel windows.The railway and road service stations, metro, basic historical and cultural monuments, theaters, museums, circus, shopping center "Capital" are not far from the hotel. It takes a few minutes to walk to railway and bus stations, subway station, the main cultural and historical monuments, theatres, museums and the circus. The "Minsk" Hotel provides accommodation in 252 rooms, fitted to meet the needs of even the most demanding clients. The hotel offers Standard and Superior rooms, two-room Suites, three-room Apartment Suites, and Presidential Suite. All rooms are fitted with climate control system, LCD TV with satellite channels, direct-dial long-distance and international phone, mini bar, Wi-Fi Internet access, safe box, and tea/coffee set. Hotel ground floor houses the "Minsk" restaurant, seating 120 guests. The sixth floor accommodates the "Sedmoye Nebo" restaurant, which can seat 200 people at a time. A variety of dishes of Byelorussian, chef and European cuisines is presented in the menu cards. A banquette hall with 40 seats and lobby bar are also at the guests' disposal. Business guests will appreciate a full range of conference services: conference halls and meeting rooms for 16-200 people, necessary equipment, and dining for participants. The hotel building includes a casino, nightclub, beauty salon, day spa, and fitness club. 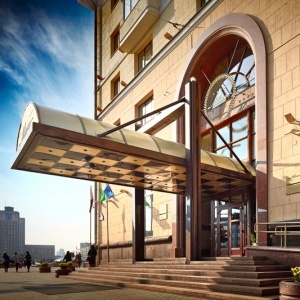 The Minsk Hotel services include - concierge, ATM and currency exchange, business centre, 24-hour secured parking, car rent, visa support, room-service, shoe shine, dry-cleaning, and laundry. The fitness club is located on the ground floor of the hotel. It offers a full equipped gym, Turkish and Finnish saunas, jacuzzi, vitamin bar. The Glamour luxury beauty salon is situated next to the fitness club. At the clients' service are expert hair stylists prepared to fulfill the most sophisticated hair-style requirements. The staff will help ladies and gentlemen with evening and wedding reception hair-styles, including colouring and bleaching hair arrangements, art dyeing and therapeutic perms. The beauticians and visagistes offer a choice of rejuvenating treatment procedures, facial massage, face cleansing, wax depilation. Also available are manicure and pedicure services and a range of decorating and art nail covering.